The Murray River is an integral part of Australia’s landscape. Our prosperity, our environment, our communities and our future depend upon it. However, the health of the Murray River system has declined and this threatens our industries, communities and 'natural and cultural' values. In response to evidence of this decline, the Murray-Darling Basin Ministerial Council established the Living Murray program in 2002. The program is funded by the New South Wales, Victorian, South Australian, ACT and Australian governments, and is one of the world’s most significant river restoration projects. Initial action to protect and improve the health of the Murray River started with the ‘First Step’ decision. This involves investing $500 million in water recovery over five years from 2004–05 and spending $150 million over eight years on environmental works and measures. The focus of the First Step is on achieving environmental benefits for six icon sites along the river. The aim is to maintain the healthy aspects of these sites and begin to address the decline in other areas as part of a larger effort to establish a healthy working river. 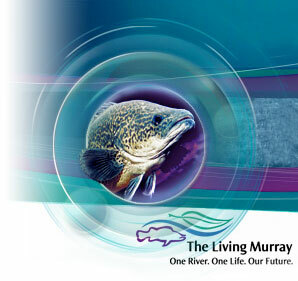 Visit The Living Murray website or email denise.fowler@mdba.gov.au for your free copy of The Living Murray story.